On May 8, 2017 FAS Berlin, with the U.S. Embassy’s Chargé d’Affaires a.i. Kent Logsdon, and the Wine Institute of California hosted a wine seminar followed by a reception at the U.S. Embassy in Berlin. Around 30 sommeliers of leading area restaurants, journalists, and culinary press participated in a tasting seminar featuring California wines with German origins. 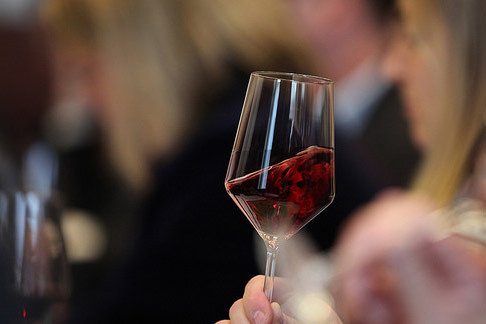 All of the wines featured had some connection with Germany, for instance many of the selected vineyards’ owners and/or founders immigrated from Germany decades and even centuries ago. This type of “story telling” is well received in Berlin and helped present the interesting and varied history of California wines, which are still seen as fairly new. With Germany being the world’s largest wine importer by volume, the share of U.S. wine imported into Germany has increased over the last years. The wine event was an excellent occasion to further contribute to this increase and foster the reputation of California’s high quality wines in Germany.